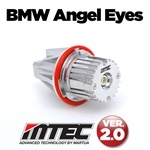 Replace your stock halogen angel eyes to a whiter and brighter output with MTEC latest (V3) LED angel eye upgrade. MTEC version 3.0 utilizes a full-bodied aluminum heat sink and TRUE 3W ultra high-performance Cree LED chips that are not overdriven as seen with other competitors’ offering. This allows for efficient cooling and a maximum LED output over an extended period of time without overheating, dimming and pre-mature failure. 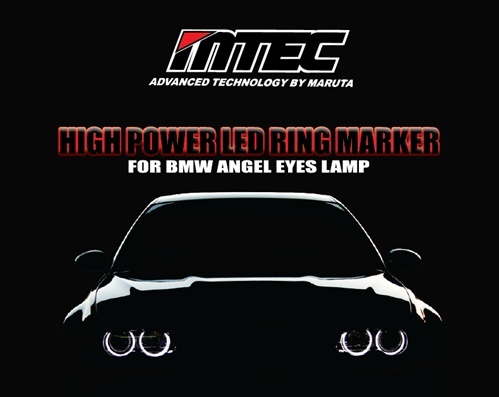 Replace your stock halogen angel eyes to a whiter and brighter output with MTEC latest H8 6W LED angel eye upgrade.